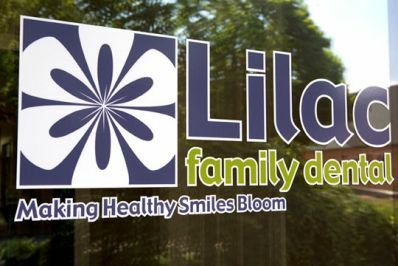 Lilac Family Dental cares about your privacy and is dedicated to protecting it. Any personally identifiable information that you submit to our website will only be used to service your account and/or to provide you with information on Lilac Family Dental products and services. The types of personal information that may be collected at our website include: name, address, email address and telephone number. Lilac Family Dental is the sole owner of all information collected on this site. Lilac Family Dental will not rent, sell or share any personally-identifiable information about you with third parties for any reason except when required to assist in resolving an issue you raise with us or as required by law. We generally record certain usage information, such as the number and frequency of visitors to our website. This information may include the websites that you access immediately before or after your visit to the Lilac Family Dental website, the Internet browser you are using and your IP address. We use this information for internal use to help us provide a better user experience and to determine what kinds of information our users may find useful. We will not disclose any of this non-personally-identifiable information to a third party. Again, this information does not identify users personally, only their general behavior while using the Lilac Family Dental website.